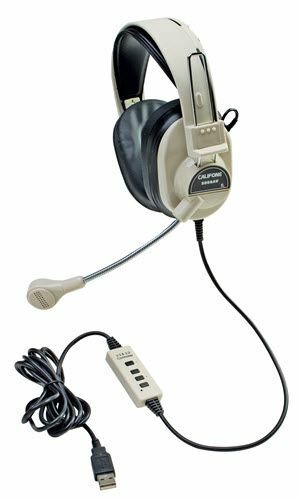 Two well-known hallmarks of this headset is its high quality audio that's optimized for language learning. The second is a design that stands up to repeated student use over the years. 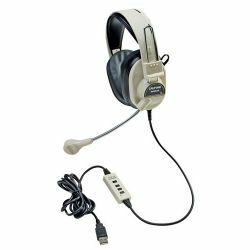 The Deluxe Multimedia Stereo Headset is ideal for online learning, AP and other assessments, gaming, and daily classroom uses. The noise-reducing earcups and (reinforced) boom microphone with individual volume control deliver a comfortable and customized sound experience. USB plug.